Arcen Games is pleased to announce the release of AI War: Fleet Command version 1.011. You can download a trial version of the game, as well as purchase a license key to unlock the full version. If you already have the game or demo installed, just hit "Check For Updates" inside the game to get the latest patch. - Several art upgrades -- much more to come in future releases. - Starships now have various bonuses against force fields, and have munitions booster ability. - AI wave logic updated: the relative size of the wave now depends partly on the time since the last wave. - AI players now periodically send devastating cross-planet attacks on difficulty 5 and up. - All turret health has been greatly increased. - The network command logic has been completely redone, and is now significantly more efficient. - Collision logic improved and sped up, and ships no longer bunch up so much when moving in large groups. 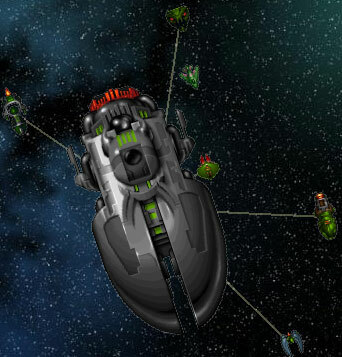 - Greatly improved ship types: eyebots, shield bearers, deflector drones, anti-armor ships. - The build buttons and tech buttons are now organized into columns as well as rows, making for much easier management. - AI reinforcement and tactical logic has been made more intelligent in several ways. - Force fields are now larger, but shrink in size as they take damage. - The minimum system requirements have been lowered thanks to all the recent performance improvements. - Fixed issue with the AI thread stalling out in some very specific late-game circumstances. The above list is just a sampling, however, so be sure to check out the full release notes to see everything (attached at the end of this post). More free DLC to hit in a week or so. Enjoy! AI War Comes To GamersGate! AI War is now available for purchase through the GamersGate platform. Here is the direct link to the game. GamersGate is a leading digital distribution platform, with great features such as user reviews and ratings of games, and no DRM or outside software required. Be sure to check them out! DRM stinks, but so does piracy. This article was sparked by a (thankfully fraudulent) report that AI War was being massively pirated, and it's a thoughtful look at issues of both piracy and DRM, and why the latter isn't the answer to the former. So why does this Chris Park guy make games, anyway? A lot of people have recently been making comments to the effect that "it's clearly a labor of love, he's not expecting to get rich off of this." So this sparked an article exploring the various motivations of love and money, and why one is so closely related to the other in many cases. If you've been looking for a challenging, detailed RTS that will fill your strategy needs for a long time, and particularly if you have a few friends who would want to join you in your battle against the AI, then this could very well be what you've been looking for. UK Gamer interviews Chris Park, the developer of AI War, about design decisions made in the game, promotion methods for indie developers, and the future of AI War and Arcen Games. Continuing the series of articles about the AI in AI War. Discusses the controversial asymmetrical nature of the AI goals versus the player goals. Discusses the drawbacks, compares this approach to the approaches used in other games, and looks at why this approach is viewed as being semantically "fair" by most players. "Justin and Jason talk with Christopher Park, founder of Arcen Games and developer of a space-based RTS game called AI War: Fleet Command, about how he was able to release a sophisticated computer game in under seven months and create a formidable artificial intelligence in only a matter of weeks. The discussion also covers the marketing of an independent game, cooperative game play, multi-threading, optimizing .NET, LINQ, GPUs, SlimDX and the future of artificial intelligence." Listen to this podcast on techZing! Arcen Games is pleased to announce the release of AI War: Fleet Command version 1.010. You can download a trial version of the game, as well as purchase a license key to unlock the full version. If you already have the game or demo installed, just hit "Check For Updates" inside the game to get the latest patch. More Free DLC: Two new ships, the MLRS Turret III (shown right), and the Tachyon Missile, have been added. The new turret provides new high-level defensive options, while the missile reveals for 30 seconds all ships on the planet at which it detonates. - Players can now select more than one home planet when starting the game. - Energy Reactor efficiency now drops if you cluster too many of them on the same planet. - Missile Silos and Missiles are now much less expensive, but missile detonation always comes with at least a minor AI Progress increase. - Screen position, unit selection, and zoom are now remembered when switching back and forth between planets. - Right-clicking the planetary summary now cycles through ships, making them easier to find. - Most ships that are non-repairable now have a self-regen ability (including force fields and fortresses). - Munitions Booster range has been increased, but they now only work while not moving. - The attack range of Spiders has been greatly increased, making them more dangerous. - The protection range of all force fields is now larger. 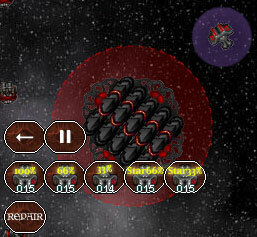 - Teleporting ships can now travel through wormholes, but certain ships are now immune to their attacks. - Fighters are now more resistant to cruiser shots, making them much more formidable. - Mark III Engineers now have teleporting in addition to their existing other abilities. - Several new hotkeys, including "Stop Units" (End) and several unit selection filters (N+0-5, N+8, N+9) . - Fixed a bug relating to all AI planets on every map having Mark III force fields, rather than variable levels. - Several bugfixes relating to space tugs. The above list is just a sampling, however, so be sure to check out the full release notes to see everything (attached at the end of this post). It's vacation season around here, so the next batch of free DLC won't be hitting for another two or three weeks -- but we've got some great stuff planned, so stay tuned. After that break, we'll be back to our regular weekly schedule. Enjoy! Arcen Games is pleased to announce the release of AI War: Fleet Command version 1.009. You can download a trial version of the game, as well as purchase a license key to unlock the full version. If you already have the game or demo installed, just hit "Check For Updates" inside the game to get the latest patch. More Free DLC: In addition to a new Mark III engineer being added, mobile repair station can now build five different variants of space tug, which are very fast ships with tractor beams that can automatically bring ships back to the nearest mobile repair station for healing, then send the ships back into the fray. - New ship counts when dragging selection boxes over ship. - New Team Income display in Galaxy Map Intel Summary. - New Z+A key combo allows seeing selected ship ranges at mouse cursor. - F1 key now shows all ship types in planetary summary. - There is now a visual and auditory warning when any of your command stations are attacked. - The game now supports cheats. See the ArcenWiki for a full listing. - The AI is much more deadly with how it sends its freed ships through wormholes. - Health bars are now colorized, and now there is an option to show them even in far zoom. - New ships: Mobile Repair Stations can now build 5 different kinds of Space Tug for combat repairs. - Several efficiency improvements have been added for how the host deals with the AI thread. - It is now possible to keep playing after a victory/loss, just without score increases. - If a music stream gets corrupted, it will no longer crash the game. - Fixed a bug in the prior release with long-range shots aimed at force fields missing. - The last uses of floating point math have been removed, which helps to avoid desyncs. The above list is just a sampling, however, so be sure to check out the full release notes to see everything (attached at the end of this post). More free DLC will be heading your way next week. Enjoy!